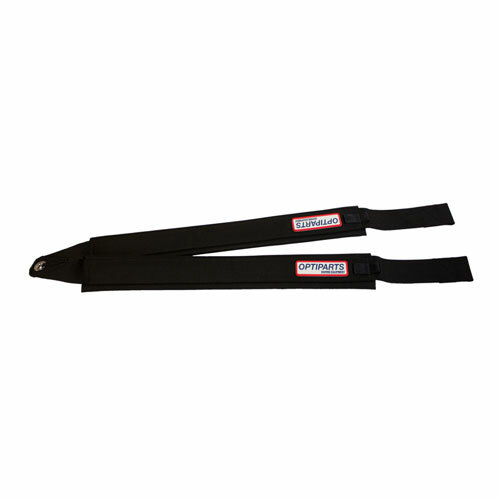 Get a better grip with the Optiparts Optimist PRO padded hiking straps. Same style as our well known EX1450 but with rubber underneath to get a better grip and feel with the boat. 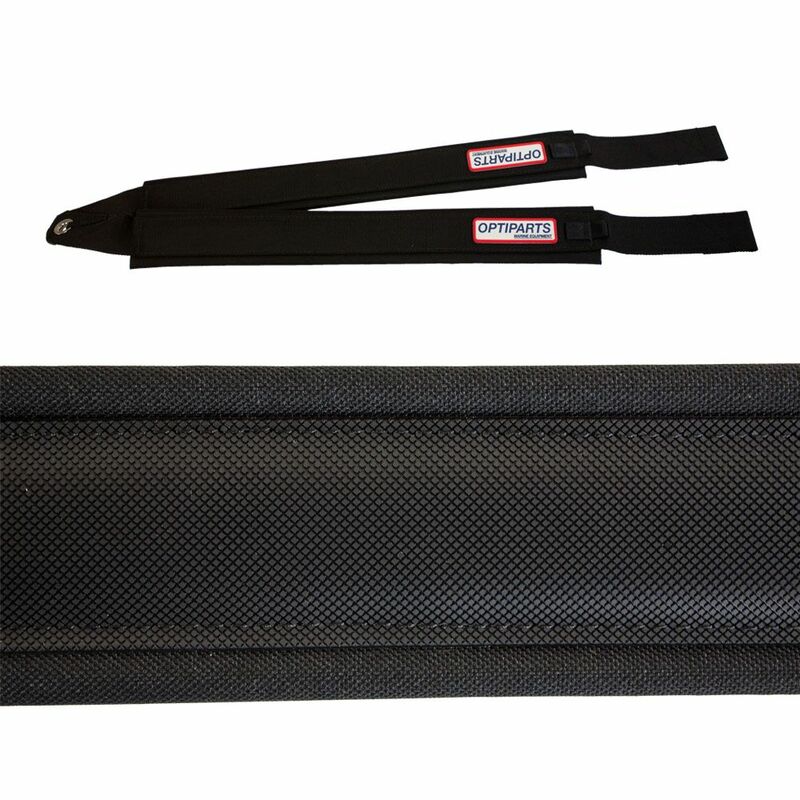 Both padded straps are made of strong Nylon webbing covered with wear resistant cloth filled with foam plate material, which does not absorb water. Strong stitched through construction and new rubber logos. - Aft end a pressed ring and sewn flat to prevent twisting. - Loops for shockcord to pull up the front for easy access. - Front ends are open for mounting with plate or rope.